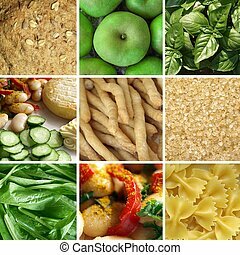 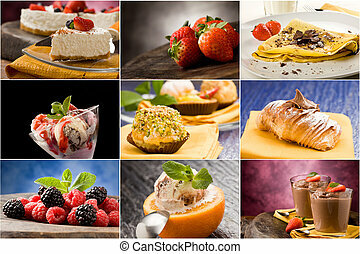 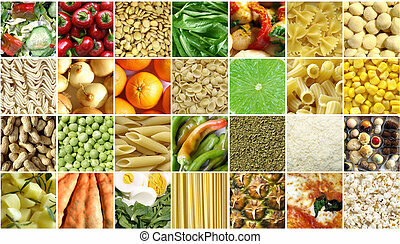 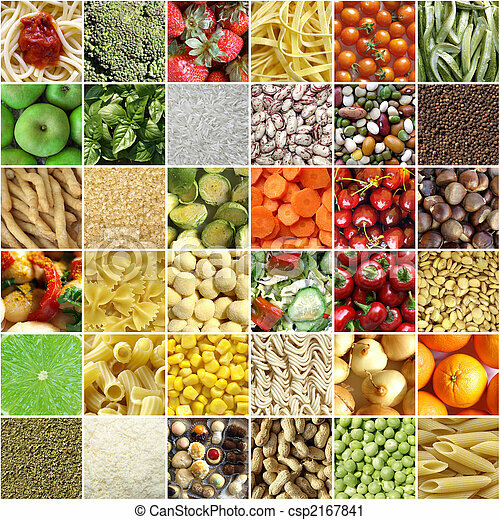 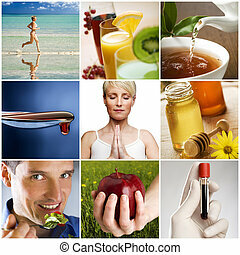 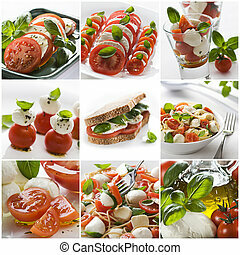 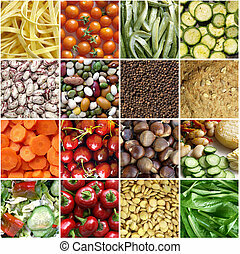 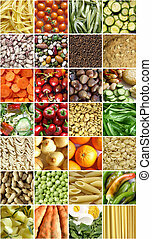 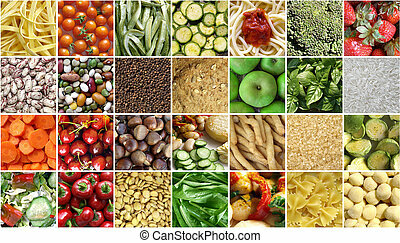 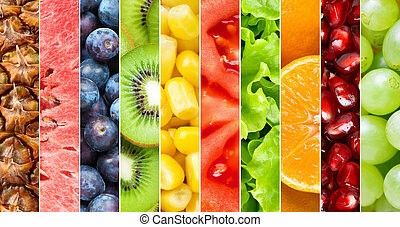 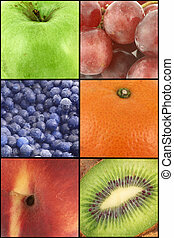 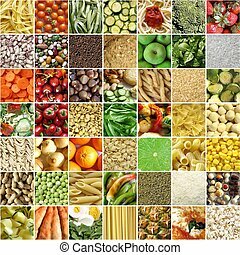 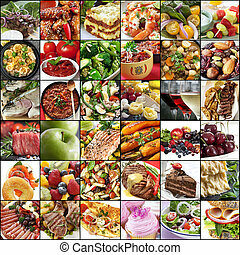 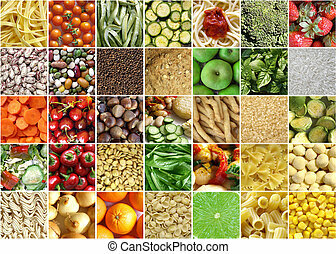 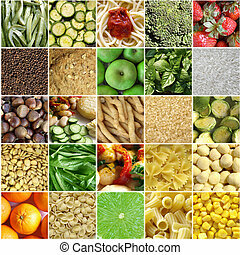 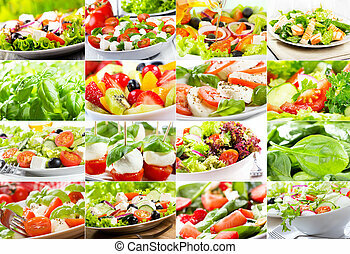 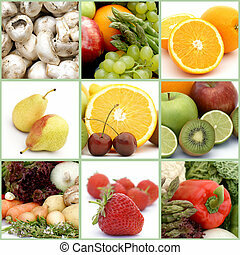 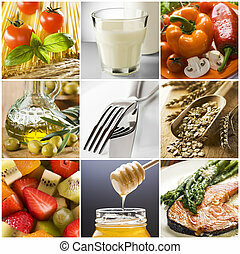 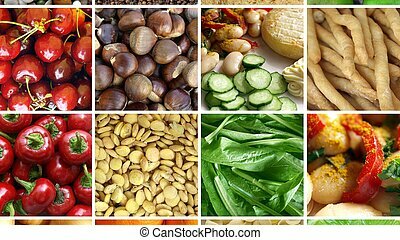 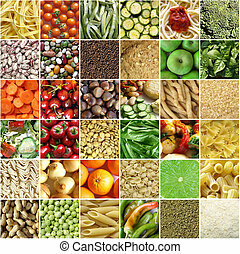 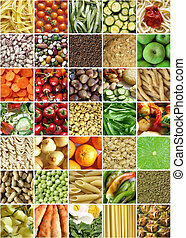 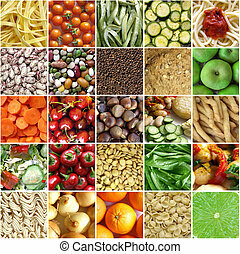 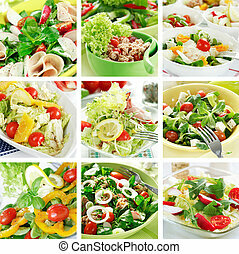 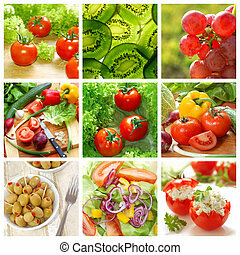 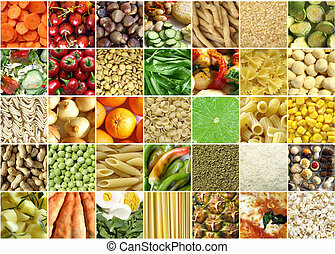 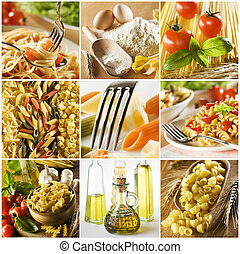 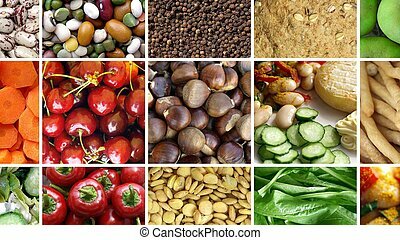 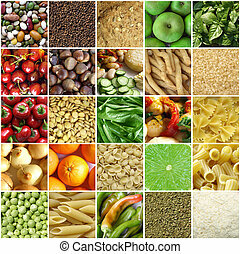 Food collage including pictures of vegetables, fruit, pasta and more. 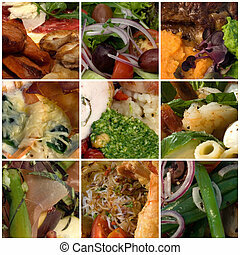 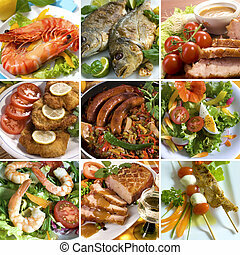 Collage of delicious beef meals. 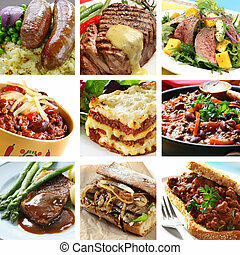 Includes steak, sausages, chili, salad, lasagne.